My co-worker Angie is looking for a beater car for her daughter. 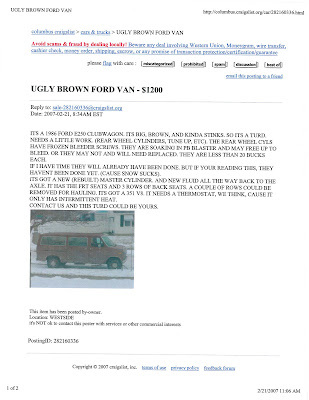 She found this van on Craig’s list and thought it was funny. I have to agree.